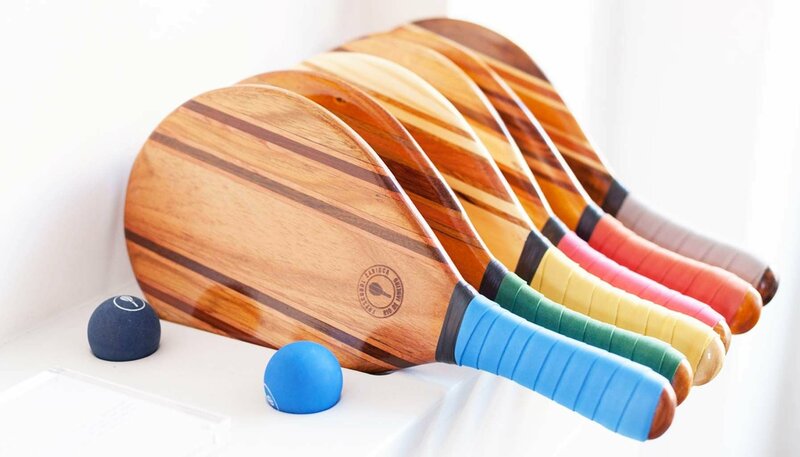 Handcrafted in Brazil from carefully selected off-cuts of wood, each bat has its own look and feel, and is finished with a colorful neoprene grip and a special surfboard resin coating. Even better, they're sold in sets of two, so you don't have to worry if your playing partner didn't bring theirs. Crafted by Frecobol Carioca, these Trancoso Beach Bats have become icons of the Brazilian brand. Handcrafted by skilled marceneiros in Brazil, the beach bats are created using up to five layers of wood off-cuts and then covered with a resin, creating a beautiful collection full of varying grains and wood colours. 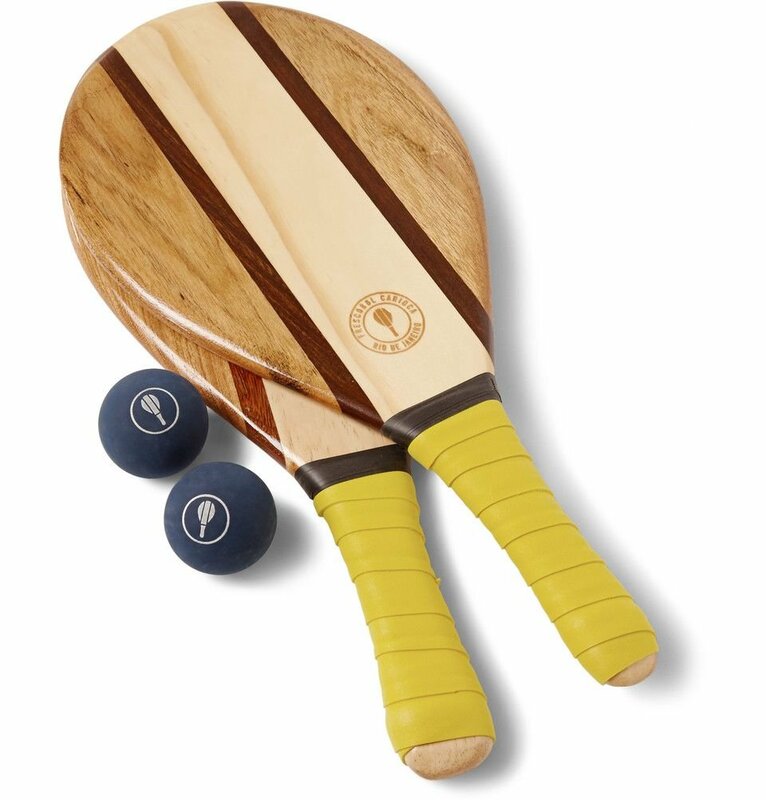 The wooden beach bats’ resin coating makes them sand and sea-resistant, while they also feature green neoprene grip handles, meaning they are the perfect companion for a day at the beach, or simply for a game in the garden on sunny days. Inspired by the games of frescobol played on the beaches of Rio, the colourful designs of Frescobol Carioca take influence from the famous tiled pavements of Brazil and combine it with practical and hardwearing materials. Each Trancoso Beach Bats set includes two bats, two balls and a water-resistant drawstring pouch for easy transportation.